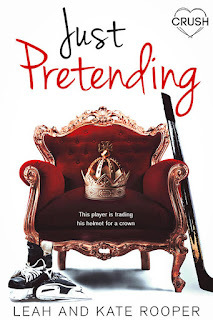 Just Pretending by Leah and Kate Rooper Blog Tour! We hope readers feel inspired by Tyler and Eva’s story; all the books in the Chicago Falcons series are about being true to yourself and learning from your mistakes. Tyler and Eva both struggle to believe in themselves and both don’t like accepting help. We hope that by the end of the book, the reader will see the importance of finding your inner confidence and trusting your friends and family! We grew up on The Hobbit and The Lord of the Rings by J.R.R. Tolkien. We learned to love fantasy early on, and still love a grand adventure tale! Leah just finished The Daughter of the Pirate King by Tricia Levenseller and loved it! 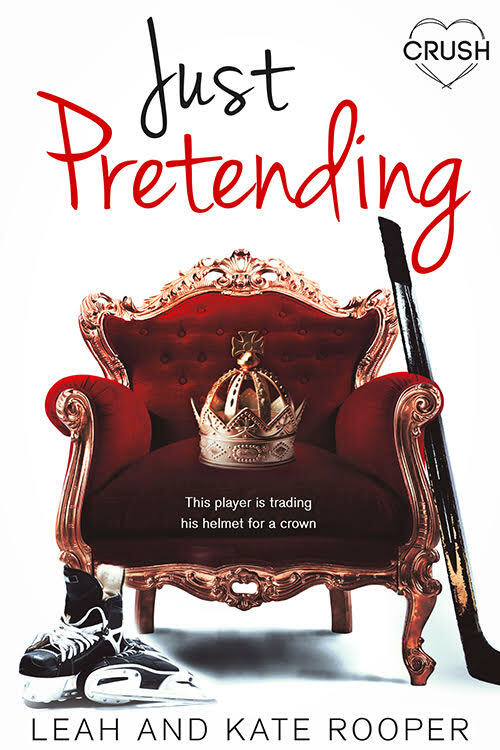 Kate is reading The Hating Game, a romantic comedy by Sally Thorne, and doesn’t remember the last time she laughed so hard! 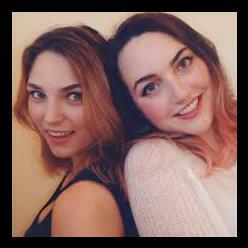 We are currently working on a young adult adventure novel about two sisters who must travel back in time to the prehistoric world of the dinosaurs in order to save their father. Our favourite author is Leigh Bardugo. We love how she can write multiple point-of-views that all sound so distinct and unique from one another. We also really admire how she can create such a sympathetic anti-hero, like Kaz Brekker. When we write, we really try to get into character and feel the emotions as naturally as possible. We picture what it would be like to wake up as that character, to go through their average day, and how they react to different scenarios. While writing, we always have to try to type through the character’s eyes in order to produce the most authentic words!